Integrates with you iPhone, iTouch, Pad, or Android! 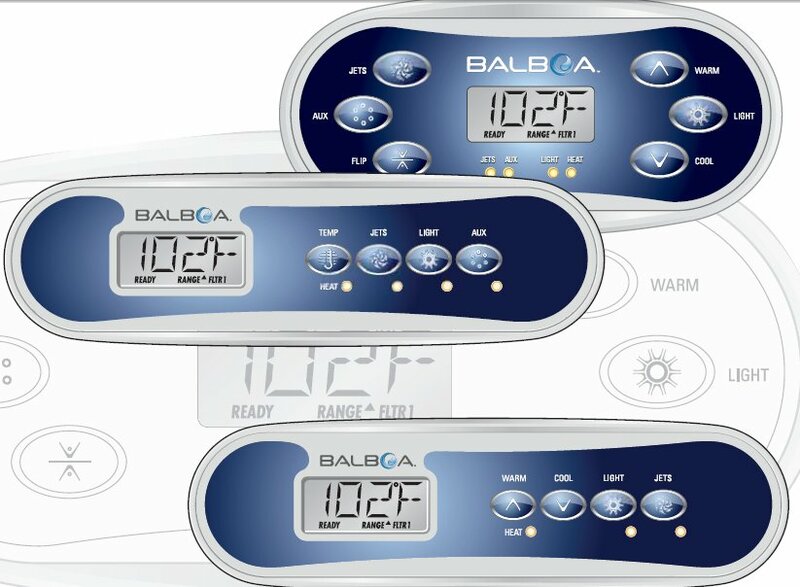 The BP2000G1 is the high end version of the newly designed Balboa spa packs. 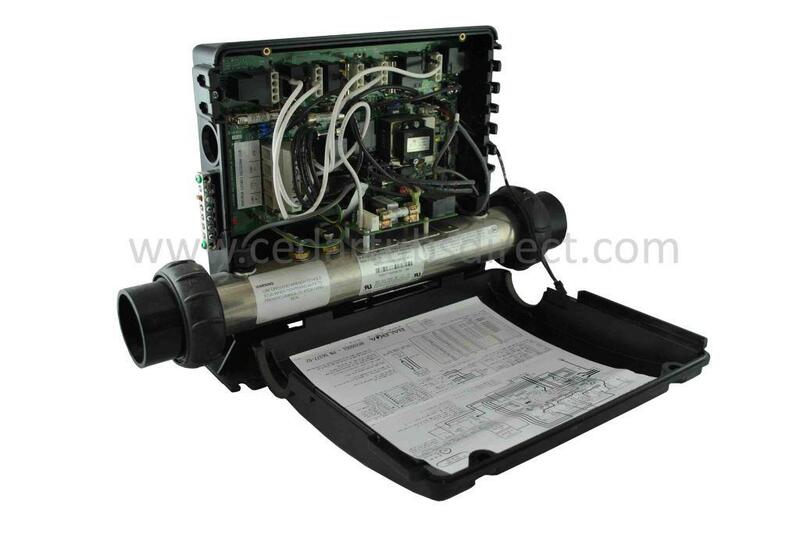 This unit retains the same Union connections as do standard spa packs such as the EL series. 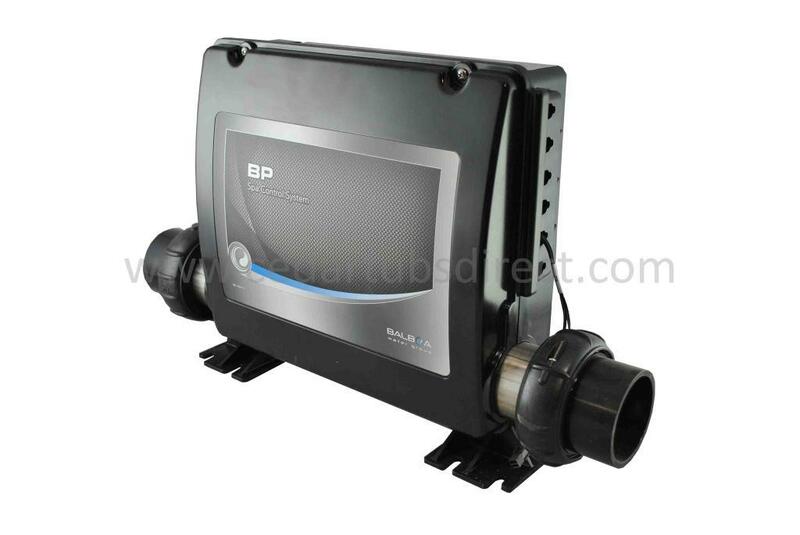 The BP2000 uses the same Zircoloy heater as do the VS and EL series (with titanium heater element available optionally). 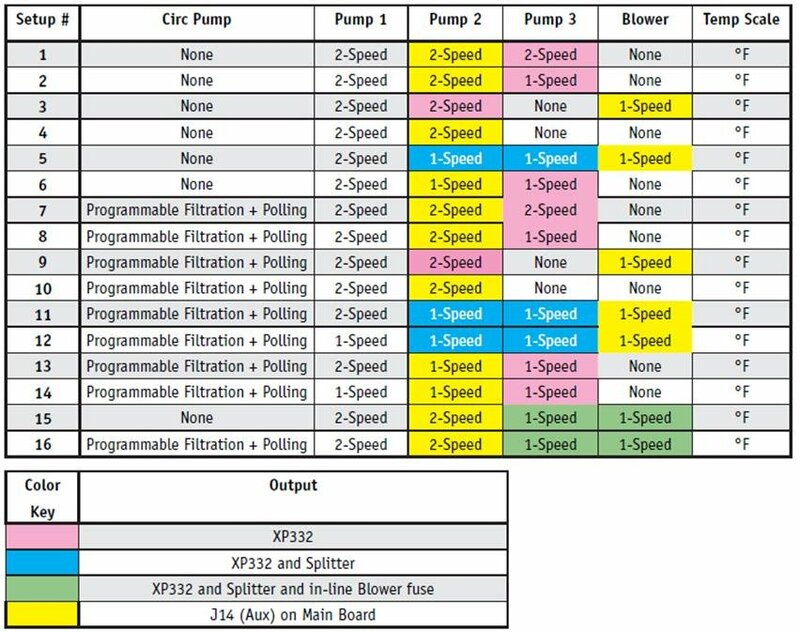 The BP2000s features include support for a large number of pumps (up to three 1 or 2 speed Jet pumps, plus a 4th 1-speed pump or blower, plus a circulation pump). 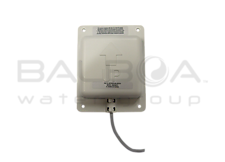 It also comes with the new quick disconnect heater plugs, supports the optional BWA Wi-Fi transceiver, the new optional BBA Bluetooth Audio Amplifier. Control Panels that work with the unit (Not included in this spa pack only offering) include the TP600 or TP800 as well as the AX Auxiliary panels. 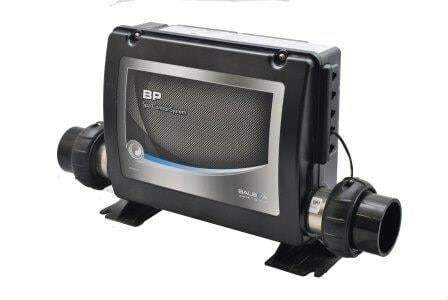 The BP Series uses M7 Technology which is simply the best spa pack technology on the market. Completely digital circuitry means less failure, more accurate heating range (+/- 1 degree F). The BP Series now includes both a high range (80-104F) and a low range (50-99 F) operation. The Patented M7 Technology removes the need for pressure sensors and remote heat sensors common on other older spa packs. 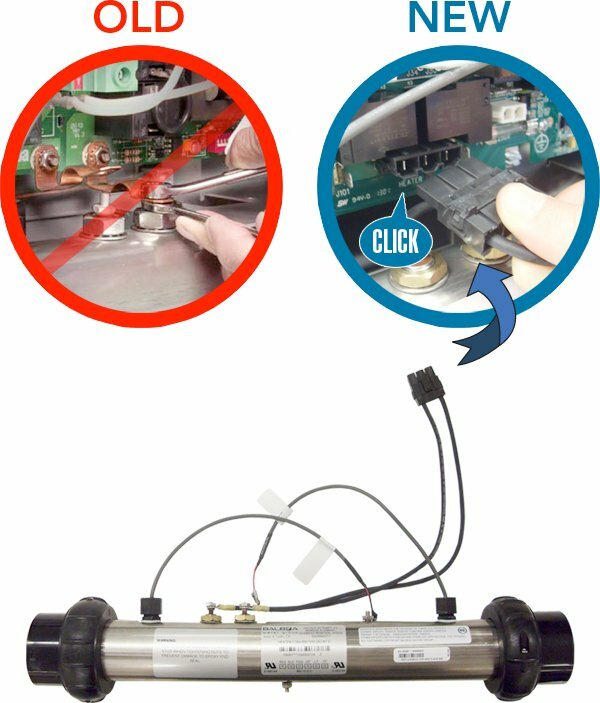 This unique technology allows the spa pack to be positioned in any location or direction (before or after the pump or before or after the filter). This high end spa pack is intended to utilize a 230V 30- 60 AMP service and will produce 5.5 kW of heat. One or more auxiliary heater, each producing 5.5kW can be slaved to the unit if more power is required. It's standard spa pack union tail pieces fit 2" piping or with reducers can be easily adapted to 1.5". 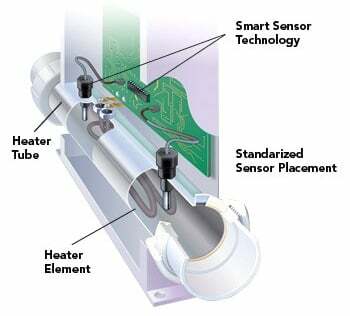 · The flow through heater tube must be a minimum of 20 USGPM if the heater is 5.5kW. This flow rate should be checked if your spa uses a small circulation pump such a Laing E10 or others made by Grundfos or Waterway, etc. These small pumps when used with 1” piping typically cannot produce this flow. 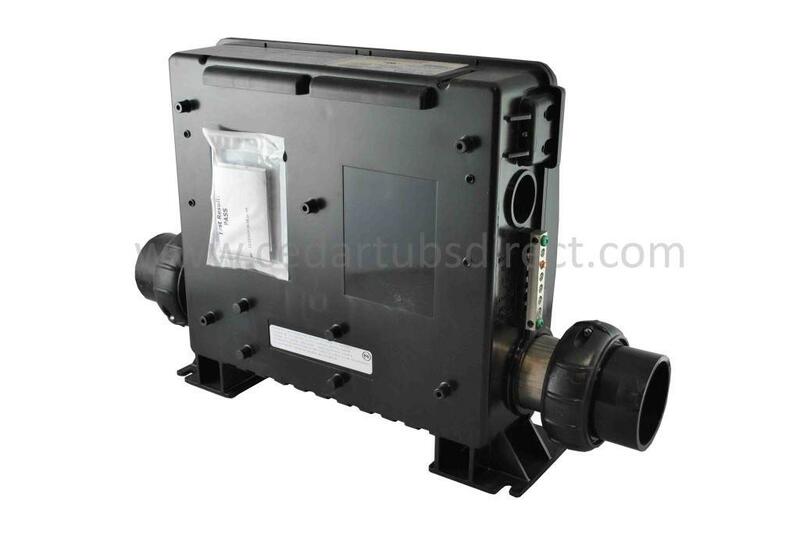 A 4 or 3kW heater element is available which reduces flow requirement correspondingly; call us! · MADE IN AMERICA not China!